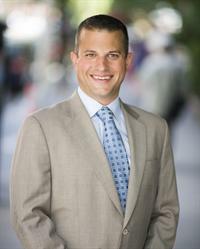 SAN FRANCISCO, CA--(Marketwired - September 03, 2014) - Virool (www.virool.com), the world's leading video distribution platform for marketers, today announced the appointment of Brian Danzis to its executive team. Danzis will lead and manage the global sales teams as Chief Revenue Officer. With hundreds of thousands of brands using video to reach and engage with audiences, this addition solidifies the organization's commitment to expand its customer base in North America and across the globe. Danzis brings more than 15 years of experience in building new digital media offerings and has a long track record of success in designing go-to-market strategies with an emphasis on execution and scale. He will be joining Virool as the Chief Revenue Officer to further develop Virool's commercial strategy, operate it globally and drive adoption of the company's video platform. "We are experiencing rapid growth right now as more brands are turning to Virool for help with the distribution of their videos," said Alexander Debelov, CEO of Virool. "Brian brings a strong background in traditional and digital media and has developed some of the most innovative go-to-market strategies in the industry. At Videology, he has worked with many of the world's leading brands and agencies and he will bring that experience and know-how to Virool as we continue to fuel our rapid growth." Before joining Virool, Danzis spent six years as SVP of Sales at Videology, an early leader in agency enterprise software for multi-channel video. Brian joined Videology as its first sales person and helped grow the company from a small startup to a global leader in addressable video. "Video is the one of the most powerful formats for marketers to engage with audiences and Virool's platform allows brands to leverage its full potential," said Brian Danzis. "Throughout my career, I've chosen to work at companies that have enormous potential for growth and disruption. Virool has built an unrivaled model for distributing video content and I am excited to lead the sales team to create an even stronger offering for our customers and help shape the future of video advertising." Before Videology, Brian was Vice President of Sales at Ripe Digital Entertainment where he played a key role in crafting advertising strategies and driving revenue through both VOD and O&O sites, event sponsorship and branded entertainment. Earlier in his career, Brian held a succession of sales roles in television and digital mediums including Joost, Massive Incorporated (acquired by Microsoft during his tenure), Comcast's Outdoor Life Network, and Turner Broadcasting's CNN Network. Virool is a leading video distribution platform that allows anyone to promote a video hosted on YouTube. Virool has already helped thousands of video ad campaigns from companies including Turkish Airlines, Intel, Sony, Coca-Cola, Samsung, Anheuser Busch and Mitsubishi. Virool ActivView products are designed to drive engagement and go beyond the view. Founded in 2012, Virool leverages a growing network of more than 35,000 publishers across websites, blogs, social networks and mobile applications. To date, the company has raised $6.62M in seed funding from a collection of top VC firms and angel investors. It is the biggest seed investment that any Y-Combinator graduate has ever received. Virool can be found at www.virool.com and on social channels https://twitter.com/Virool or https://www.facebook.com/virool. About this company Virool, Inc.